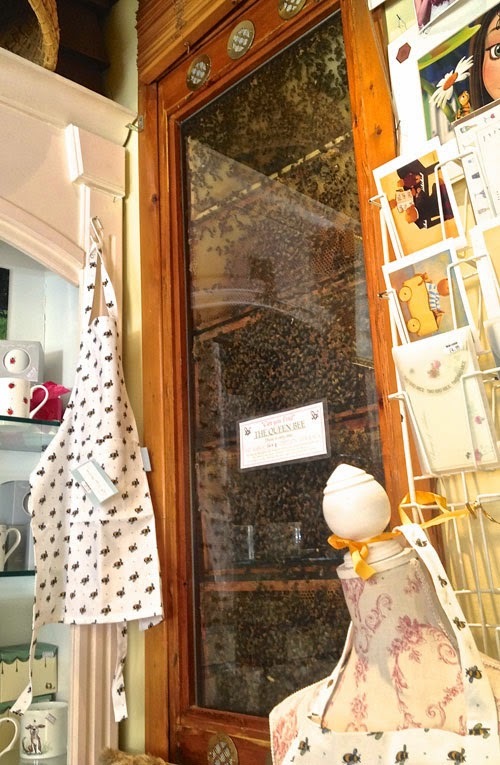 > 20,000 Live Bees On View -Back at The Hive Honey Shop! After a long winter break our bees are back at the shop and on display. Our special 5ft glass observation hive is BUZZING with 20,000 live honeybees again. Pop in the shop and Bee Amazed! The bees are safely behind a wall of toughed glass through which customers can gaze into the secret world of the honeybee. 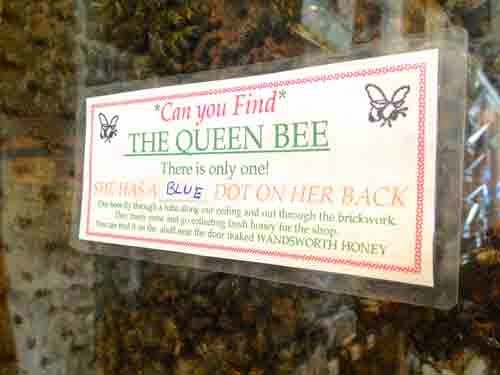 Watch as baby bees hatch, worker bees do the crazy ‘bee dance’ and kids get a free sticker if they spot the queen bee! The bees are not trapped in the wall but come and go as they like via a tube to the outside. Fresh Wandsworth honey is gathered by our bees daily right on site.